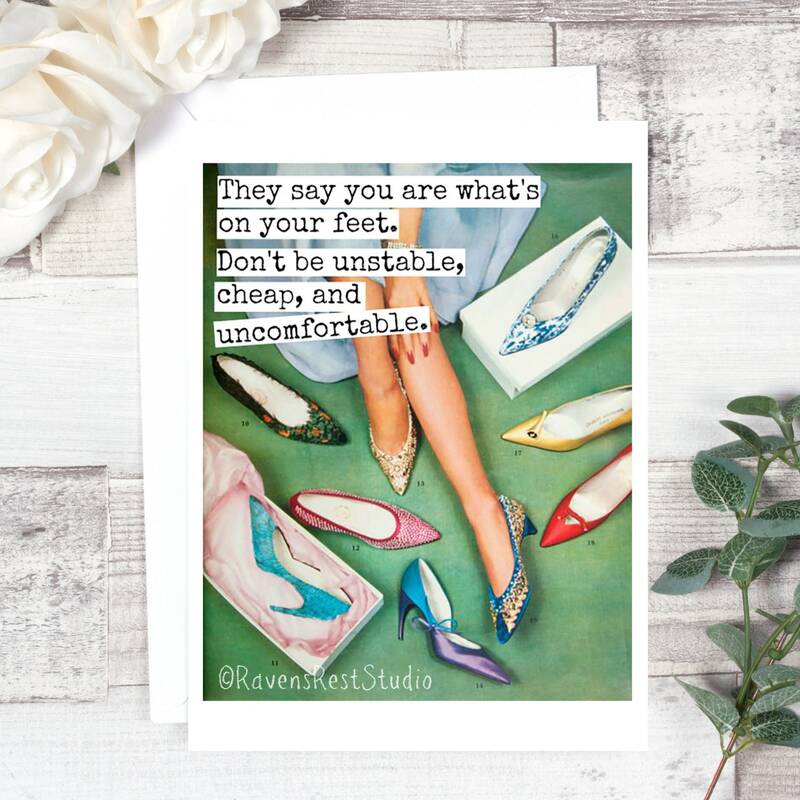 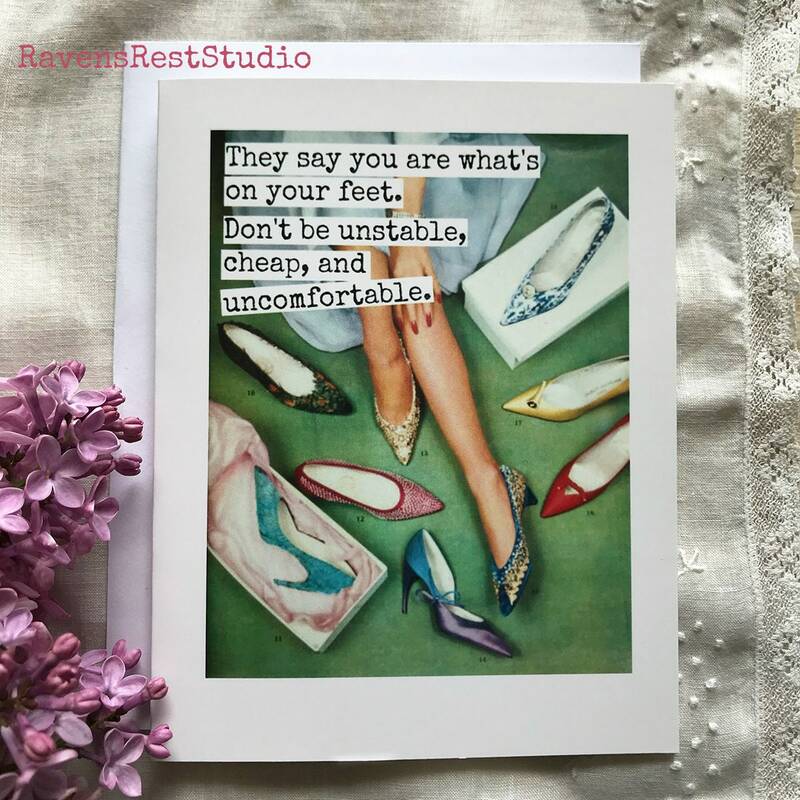 Here's a super fun greeting card - perfect for that shoe lover! 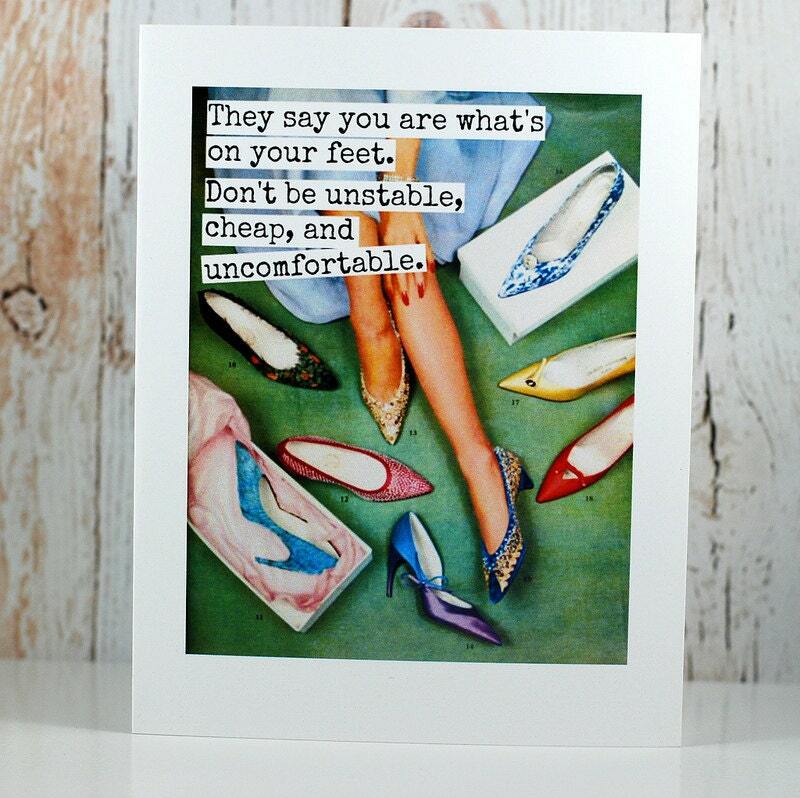 This card features a vintage set of legs surrounded by shoes and reads: "They say you are what's on your feet. 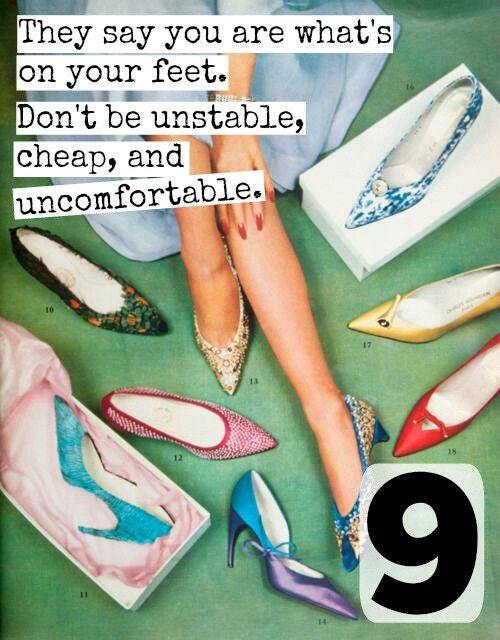 Don't be unstable, cheap, and uncomfortable."